Scenario: Kogoro, Ran, and Conan are meeting a lawyer named Samuel Taylor who's office is in a hotel. While there Conan picks up a phone call from Samuel's wife Catherine Taylor. During the phone call, an musical melody is heard from Catherine's side. Samuel takes over the phone call and tells his wife he will call later and asks Conan and Ran to leave so he may talk with Kogoro. 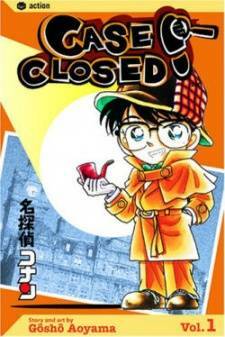 Kogoro returns telling Conan and Ran he took Samuel's request to spy on Catherine and her affair. On the way home, they spot police cars in front of a house and decide to investigate. They found out it is the Samuel Taylor's house. Inside they learn that Catherine was found dead in the bathtub. Conan suspects Samuel to be the murderer but Richard confirms his allibi. Conan investigates the hotels and learns the hotel room beside Samuel's is reserved for guests and also learns the musical melody from a musical box alarm clock is custom made for that hotel. At Catherine's funeral, a man named Steve Jacobus reveals he was Catherine's lover. The officers plan to arrest him until Conan tranquilizes Kogoro. 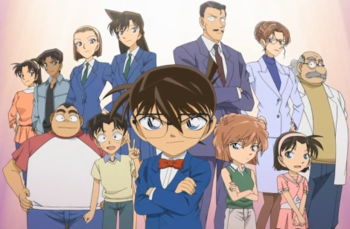 Impersonating Kogoro's with his Bow Tie Voice Changer, Conan reveals Samuel to be the killer. He reveals that after Samuel was done with Kogoro, he murdered his wife who was in the guest room beside him. Afterwards Samuel placed his wife in a bag and put he down a chute to the bottom floor. He then went to the bottom floor, placed her body in the trunk and drove her home where he then placed her body in the bathtub. As evidence, Conan gives Megure a tape of the alarm clock in Samuel's guest room to compare with the recorded phone call. The alarm clock in the guest room is revealed to have a missing note and matches with the musical melody in the phone call. Samuel confesses to the murder, and reveals Catherine was blackmailing him for money in order to keep his corrupt deeds as a lawyer hidden.